On 14 October at 16:18 CEST, Comet Siding Spring will be 25,001,331 km from the centre of Mars, 24,997,942 km from the surface of Mars (mean) and 24,997,399 km from Mars Express, closing at a speed of -55.88 km/second. For the Comet Siding Spring encounter this weekend, the Mars Express mission team have decided to not execute the initial contingency plan of pointing the high gain antenna toward the expected direction of comet particles and switching off all non-essential systems. Instead, we will be taking advantage of this remarkable opportunity to perform science observations of the comet – yet with a few precautions. 1/3 the distance between Earth and our Moon. The final decision was made at the beginning of October. As we had two plans ready – one dubbed ‘nominal science’ and one ‘contingency’ – we were able to make this decision close to the encounter date and take advantage of the latest estimates of comet activity. In creating the weekly observation plan for the spacecraft, several teams and many different factors are involved. Not only do we have to decide on where to point the spacecraft but we also have to take into account the amount of data generated, ground station availability, power requirements, thermal conditions, pointing restrictions and several others. Each of these is a lot of work in itself and trying to have two plans that were as similar as possible kept our mission planning team quite busy. This is why we have to plan everything far in advance. NASA’s DSN deep space tracking network are providing excellent support and will be allocating all of their antennas at both their Madrid and Goldstone sites purely to support the ESA, NASA and ISRO Mars missions. As well as using two of their 34m antennas to perform dumps of science data, we will be using the two giant 70m antennas to track a beacon signal that will be transmitted from one of the Mars Express low gain antennas (this was originally part of our contingency plan, but will be used in this now-routine science plan to give us an indication that all is well on the spacecraft). We will also perform additional checks to the spacecraft systems. Once we get our first data after the comet encounter, engineers will go through all subsystems to be sure that everything is nominal and compare system status values to default values recorded earlier. The Data Management Systems Engineers will dump all the data from our computer systems on Monday to be sure that nothing has become corrupted and our Power/Thermal Engineers will perform a test the week after flyby to measure any change in the performance of our solar arrays. We are not expecting to find any problems but rather perform these tests so as to be sure. Presentation by H. Svedhem, ESA’s mission scientist for MEX, detailing the plans for science during Siding Spring flyby this week and next. 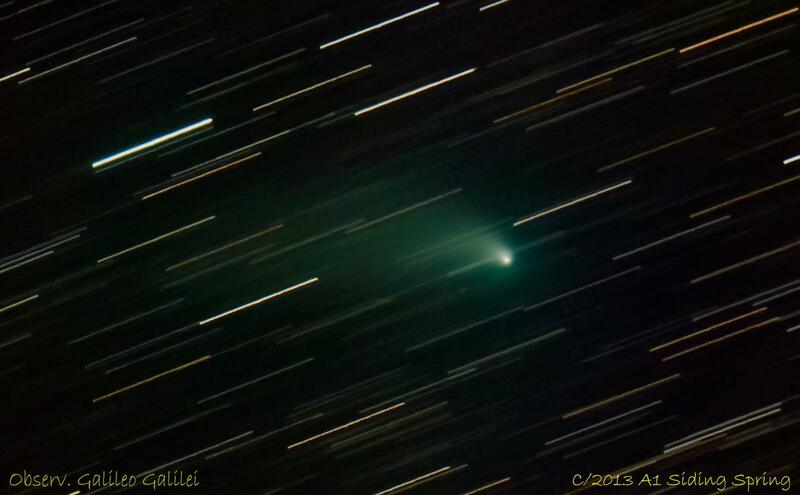 This presentation was given at the Comet Siding Spring (C/2013 A1) Science Workshop, NASA JPL, 19 September 2014.